People often ask me if younger kids can really meditate. My first answer is, sometimes they can and sometimes they can’t. BUT, they can start to understand and appreciate the value of sitting in meditation and following the breath. If a family sets aside the time - even just a few daily minutes - and the space - just a quiet corner of any room - to talk about things like good silence, calming down the mind, following the breathe...young kids find their own way to the cushion. It’s a journey and a practice that is ever-evolving. 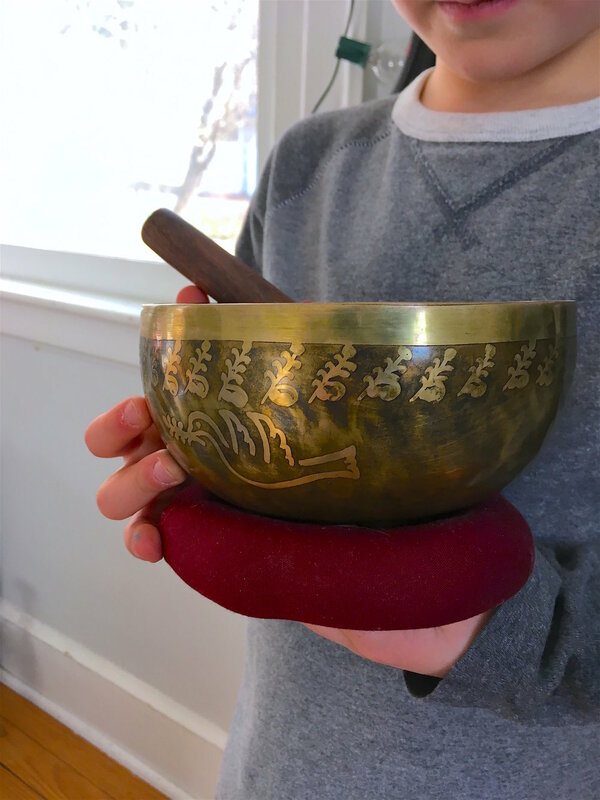 Starting with this simple singing bowl meditation, from Sitting Together: A Family-Centered Curriculum on Mindfulness, Meditation, and Buddhist Teachings by Sumi Loundon Kim, is a great way to get them engaged. (Link to buy the book below). What sounds did you hear? Its OK if you didn't know what the sound was - just describe what you heard. If there was a loud sound, how did you feel when you heard it? Show me by holding up your fingers how many breaths you took while the bell was riding. Rise your hand when I ask these questions: When the bell rang, who was breathing in? Breathing out? 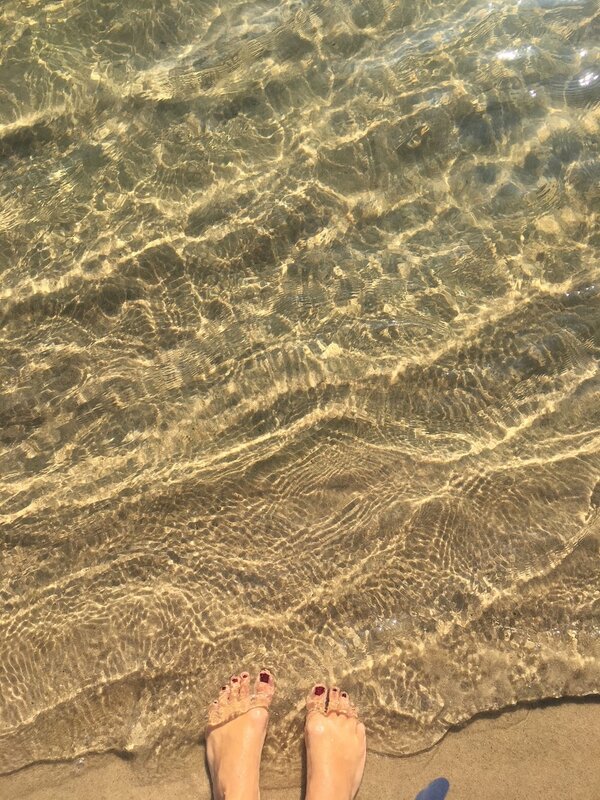 In between? This is our fourth and last listening meditation. After a minute or so of silence, I'll ring the bell. During the silence, count how many breaths you take up until the moment that I ring the bell. And then of course, you can continue to meditate by listening to the sound of the bell until it fades. You can count on your fingers if you wish. Please start counting your breath now. How many breaths did you take up until the bell rang? This meditation can be found in Sitting Together: A Family-Centered Curriculum on Mindfulness, Meditation, and Buddhist Teachings by Sumi Loudon Kim. I love the wisdom and practices shared in these books and refer to them all of the time! You can purchase them on Amazon by clicking the image of the book.